On May 10, 2018, about 2031 Pacific daylight time, a Beech BE76 twin-engine airplane, N803FC, collided with mountainous terrain while maneuvering in the vicinity of Julian, California. The certificated flight instructor, pilot receiving instruction, and student pilot rated passenger were fatally injured. The airplane was destroyed by a post impact fire. The airplane was registered to and operated by Scandinavian Aviation Academy as an instructional cross-country flight under the provisions of Title 14 Code of Federal Regulations Part 91. Visual meteorological conditions prevailed, and no flight plan was filed. 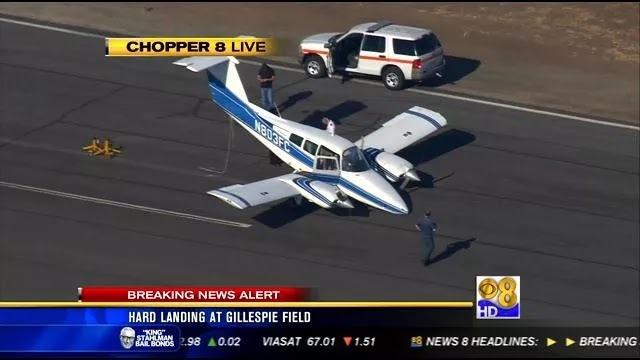 The flight originated from Apple Valley Airport (APV), Apple Valley, California, at an undetermined time and was destined for Gillespie Field Airport (SEE), El Cajon, California. According to the representatives from the flight school, the purpose of the flight was a day and night 100 nautical mile (nm) cross country flight. The flight to APV was conducted during the day, and the return flight from APV to SEE was to be conducted at night. Review of preliminary radar data provided by the Federal Aviation Administration (FAA) identified the airplane near the Ramona Airport (RMN) about 2003. Radar tracking showed that the airplane traveled east from RMN, climbed to about 5,600 ft mean sea level (msl), with the groundspeed varying from 116 knots to 133 knots for about 14 miles. The airplane then began to slow and it made a left turn from about a 48° course heading to about a 176° course heading. Throughout the turn, the altitude remained about 5,600 ft msl, and the groundspeed decreased to 55 knots. At the completion of the turn, the groundspeed increased to about 67 knots, and a climb was initiated to 6,600 ft msl while continuing on a southwestern course of about 195°. The airplane then made a right turn to an easterly heading for about 10 miles. The radar data further depicted a left 180o turn was initiated at an altitude of 6,200 ft msl and a groundspeed of about 121 knots. At what appears to be the apex of the turn, the airplane was at 6,100 ft msl and a groundspeed of 50 knots. The airplane then began to descend, and groundspeed increased to 74 knots, then decreased to 50 knots. The last radar return was recorded at 2031, with the airplane at an altitude of 5,700 ft msl and a groundspeed of 67 knots in the vicinity of the accident site. The accident site was located less than 1 mile southeast of the Julian VOR (Very-High-Frequency Omnirange Navigation Equipment) in mountainous terrain near the bottom of a draw at an elevation of about 4,200 ft. The wreckage debris was orientated along an east-west direction and the initial impact direction was on a westerly heading. The wreckage was contained within a 150-foot circumference of the initial impact point. The first piece of identified wreckage near the initial impact point was the fire extinguisher. The farthest portion of wreckage located downslope of the initial impact was the right side propeller. All structural components were located at the accident site. The wreckage was transported to a secure location for further examination. The plane crash sparked a brush fire that charred the bodies of three men aboard. Due to the blaze in the remote location, the bodies could not be recovered until four days after the tragedy. All three bodies suffered blunt force and thermal injuries. The County Medical Examiner’s office has not yet confirmed the identities of those onboard. Three people found dead in the wreckage of a small plane crash in East County were part of a flight that never arrived at Gillespie Field last week, officials confirmed Tuesday. A twin-engine Beechcraft Duchess did not land at the El Cajon airport as scheduled Thursday night, according to Ian Gregor, spokesperson for the Federal Aviation Administration (FAA) Pacific Division. 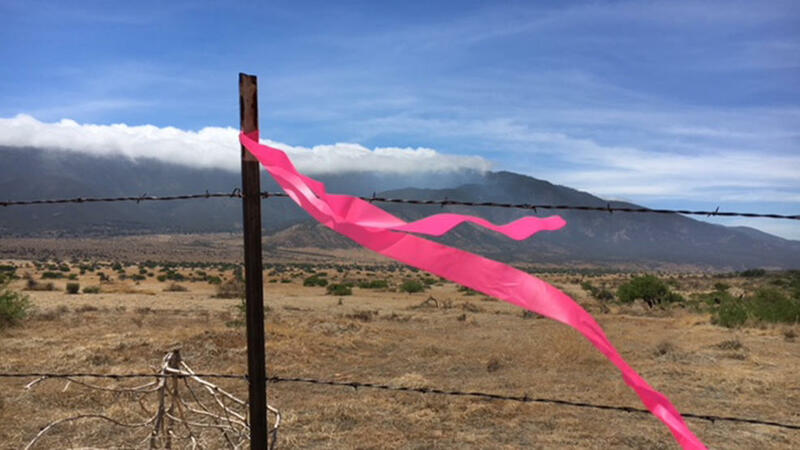 That same night, a plane crash on Volcan Mountain sparked a 12-acre brush fire in the Ranchita area. Deputies described the area as Arkansas Canyon. It's located east of Warner Springs and west of Borrego Springs. On Tuesday, officials confirmed the crashed plane was the missing Beechcraft Duchess. Three bodies were removed Monday from the wreckage, four days since the crash was first reported. Someone saw the plane crashing and called 911 at around 8:30 p.m. Thursday. Due to the remote location of the crash, it wasn't found until Friday. Search teams could not reach the wreckage until Sunday when they confirmed three people were dead at the crash site. Investigators with the National Transportation Safety Board airlifted the bodies out of the canyon. Some parts of the plane were also recovered and have been taken to a salvage yard in the Phoenix area where a thorough examination will be conducted by the FAA and the National Transportation Safety Board (NTSB), the FAA said. Keith Holloway with the NTSB said his agency will look into radar data, aircraft communications, weather and medical records. 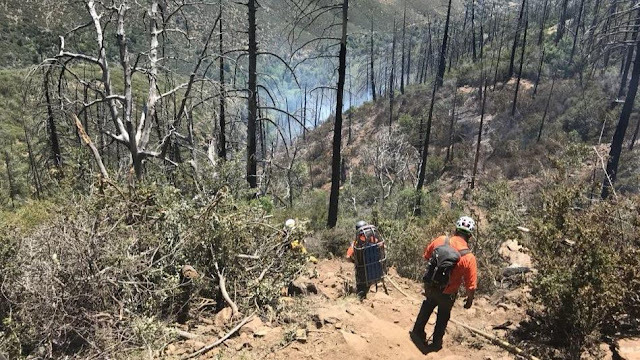 RANCHITA (CNS) - Authorities Monday recovered the remains of three victims from amid the wreckage of a plane that crashed and ignited a forest fire last week in a remote and rugged wilderness area near Volcan Mountain. 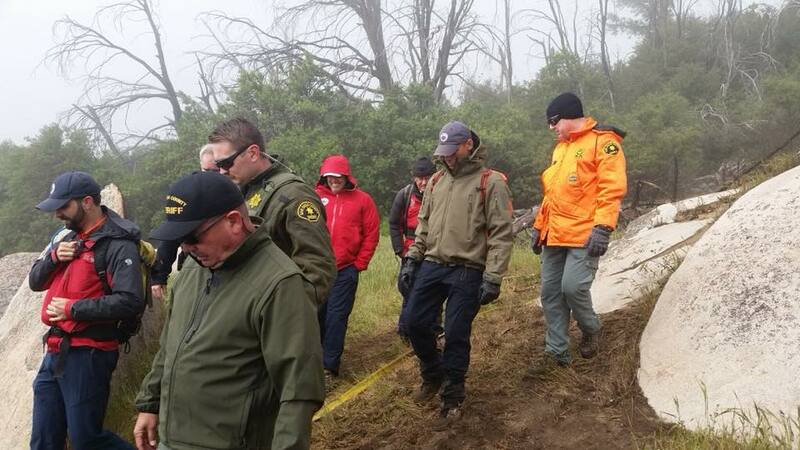 With help from National Transportation Safety Board personnel, a search-and-rescue team early this afternoon airlifted the remains out of the steep terrain where the aircraft went down for unknown reasons Thursday evening, sheriff's Lt. Greg Rylaarsdam said. After firefighters extinguished the 12-acre blaze ignited by the crash, deputies discovered the bodies Sunday morning. However, the challenging territory made it impossible to move the remains except by helicopter, and high winds prevented the sheriff's aircraft from reaching the remote canyon until today. "Our number-one mission and priority (was) to get those souls off the mountain," Rylaarsdam said. The lieutenant described the crash site in a gorge known as Arkansas Canyon as a "treacherous climb, in and out," and likened reaching it by foot as "hiking almost down the face of a cliff." Making matters worse were the still-smoldering remnants of the vegetation fire. The ground was so hot that firefighters warned the sheriff's search team Saturday that their ropes and boots would melt if they tried hiking down to the aircraft wreckage. On Sunday, still wary of using climbing lines, Cal Fire crews laid down dry hoses that sheriff's personnel were able to use to climb down to the crash site, the lieutenant said. The remains will be turned over to the San Diego County Medical Examiner's Office for identification and family-notification purposes. Officials believe that the crashed plane was a twin-engine Beechcraft Duchess that was registered at El Cajon's Gillespie Field. The aircraft was due to land at Ramona Airport on Thursday night but never showed up and remains unaccounted for. A Julian resident reported seeing a plane going down near Volcan Mountain around 8:30 p.m. Thursday. Less than 30 minutes later, authorities got word that a brush fire had erupted in the same general area. An NTSB contractor was at the crash site this morning, Rylaarsdam said. The federal agency is responsible for identifying the plane and investigating the crash. Authorities were hoping that there were large enough pieces of the plane left to allow for identification of the wreckage, Rylaarsdam said. While working to get the bodies out of the crash site, officials also gathered pieces of the demolished aircraft to aid in the investigation. "We have not yet been able to confirm whether or not the wreckage of this plane is the missing plane from Gillespie Field," the lieutenant said. Though the blaze, dubbed the Volcan Fire, was fully contained as of this morning, firefighters expected to remain at the scene at least until midweek, monitoring the burn area and snuffing out remaining hot spots, Cal Fire spokesman Issac Sanchez said. 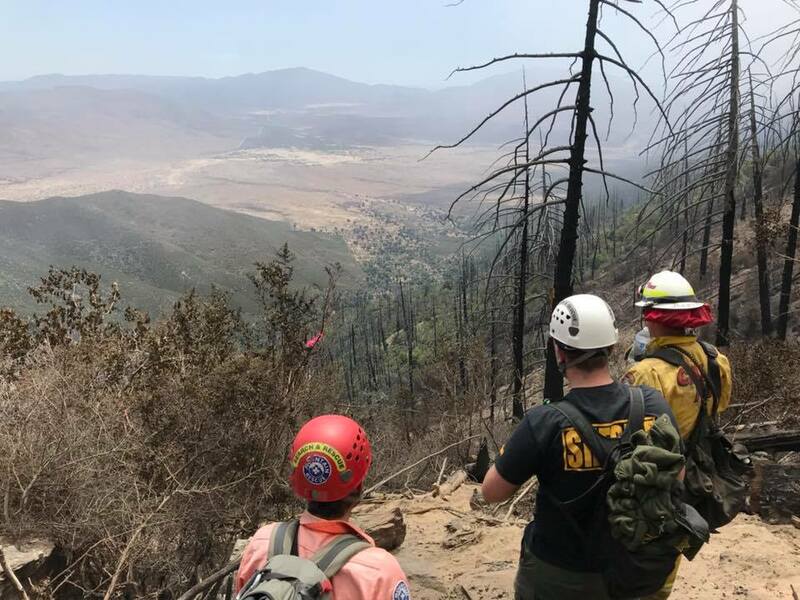 A sheriff’s search-and-rescue crew on Sunday found three victims amid the wreckage of a plane that crashed and sparked a 12-acre fire on Volcan Mountain, officials said. The unidentified aircraft went down in a steep canyon on the east side of the mountain about 8:40 p.m. Thursday. Flames from the crash quickly spread. The terrain was steep and mountainous and the weather was windy and cloudy making firefighting difficult from the ground and the air. Firefighters found the plane on Friday, but search-and-rescue team members weren’t able to make it to the aircraft until the fire was 100 percent contained on Sunday morning. Sheriff’s Lt. Greg Rylaarsdam said the canyon was too steep and treacherous to guide Federal Aviation Administration and National Transportation Safety Board investigators to the wreckage, as they usually would. Instead, a team of sheriff’s investigators made the appriximate half-mile hike and conducted the initial investigation. The team found three victims near the crash site, but they weren’t able to recover the bodies because the winds were too high for the helicopter needed to fly them out. Investigators also haven’t been able to identify if the crashed plane is that of a twin-engine Beechcraft Duchess that was supposed to land at Ramona Airport on Thursday but never showed, Rylaarsdam said. "We haven't positively identified the plane yet,” the lieutenant said. “I think we may be able to at some point, perhaps with a serialized part, but it's not like there's a plane sitting down there. There's a debris field." A Beechcraft with the same tail number as the missing plane is registered to Scandinavian Aviation Academy, also known as SAA, a flight school located at Gillespie Field, according to FAA records. Cal Fire Capt. Isaac Sanchez said firefighters were expected to be in the area of the crash until least until midweek due to “heavy fuels and extensive mop up required,” the fire agency tweeted. 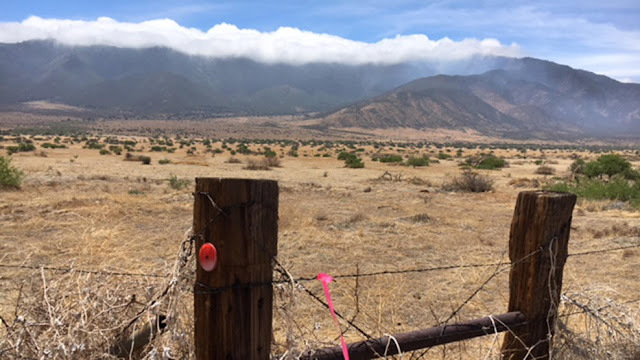 RANCHITA (CNS) - A fire apparently sparked by a nighttime plane crash near Volcan Mountain in North County was 100 percent contained by a line of cleared vegetation Sunday, authorities said. The blaze, dubbed the Volcan Fire, held at 12 acres, according to Cal Fire San Diego. It was sparked by the plane crash, late Thursday. Firefighters were expected to be at the scene at least until midweek due to "heavy fuels and extensive mop up required," the fire agency tweeted. Cal Fire San Diego spokesman Issac Sanchez said he's not sure when Federal Aviation Administration and National Transportation Safety Board investigators will be able to inspect the wreckage of the plane that's believed to have sparked the fire. "The fire threat has been mitigated," he said. "But there's still an accessibility issue." The destroyed airplane remained unidentified Sunday, though a twin- engine Beechcraft Duchess was reported overdue Thursday night when it failed to land at Ramona Airport as expected, according to the Federal Aviation Administration. The missing plane is registered to Scandinavian Aviation Academy, a flight school that operates out of Gillespie Field airport in El Cajon, according to FAA records. A resident of Julian reported seeing an aircraft apparently plunging to the ground northeast of town about 8:30 p.m. Thursday, sheriff's officials said. A sheriff's helicopter crew was unable to find any plane wreckage in the darkness, and firefighters had to wait until morning to make their way to the remote canyon where the blaze was burning. By the time they reached the site shortly after sunrise Friday morning, the flames had spread over about 10 acres, according to Cal Fire. 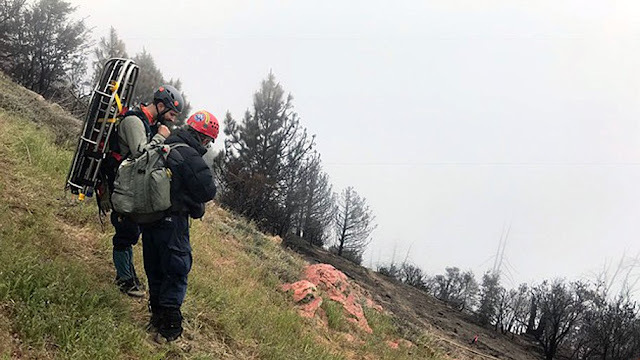 At about 9:30 a.m. Friday, firefighters found aircraft wreckage in the burn zone, Baggs said, but the fire prevented authorities from taking a closer look. While Cal Fire crews are keeping an eye on a 10-acre fire in San Diego’s East County, deputies have located the plane reported missing and believed to have crashed, sparking the fire. 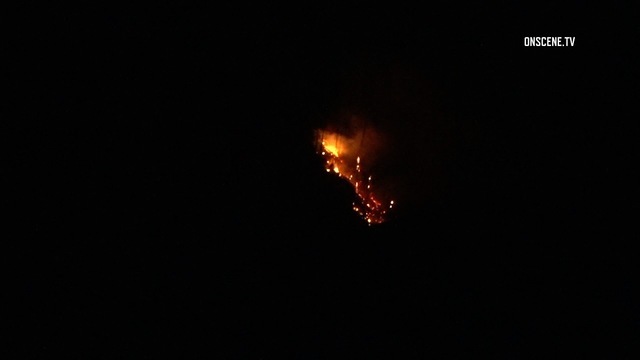 The brush fire in the Ranchita area was first reported to authorities as a possible plane crash on Volcan Mountain around 8:30 p.m. Thursday. Cal Fire crews responded and found a 3 to 4-acre brush fire, east of Warner Springs and west of Borrego Springs. The San Diego County Sheriff's Department (SDSO) received reports of a plane crash and the Federal Aviation Administration confirms there was a plane reported overdue from the Ramona airport. At 11:45 a.m. Friday, deputies confirmed finding the wreckage of the plane but said the tail number was illegible so the identity of the aircraft was unknown. The fire was in a steep, inaccessible area so firefighters were unable to get close enough to determine if it may have been caused by a plane crash as reported, deputies said. A twin-engine Beechcraft Duchess did not land as scheduled Thursday night, according to Ian Gregor, spokesperson for the FAA Pacific Division. When asked if the overdue plane had crashed, Gregor suggested NBC 7 ask first responders if a wreckage has been found. 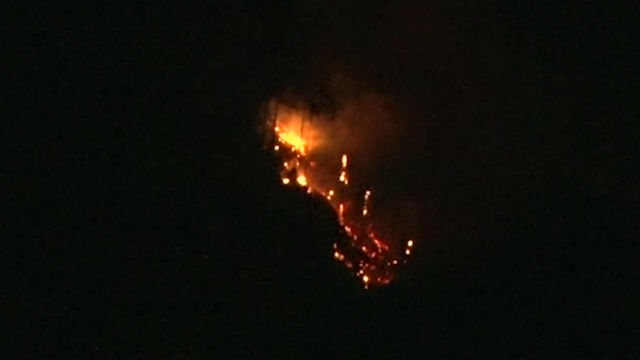 Cal Fire said the fire, dubbed the Volcan Fire, was slow-moving and there were no homes nearby that could be in danger. 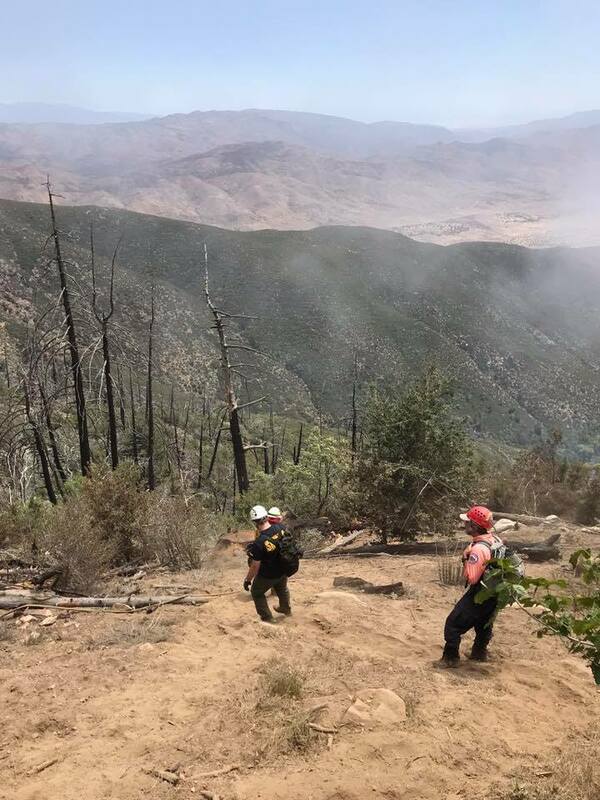 (KGTV) – Firefighters battling a brush fire near Volcan Mountain in the East County Friday discovered the wreckage of a plane that reportedly crashed in the area the night before. Shortly before 9 p.m. Thursday, San Diego County sheriff's officials said they received reports of a possible plane crash in Ranchita, an area between Warner Springs and Borrego Springs. 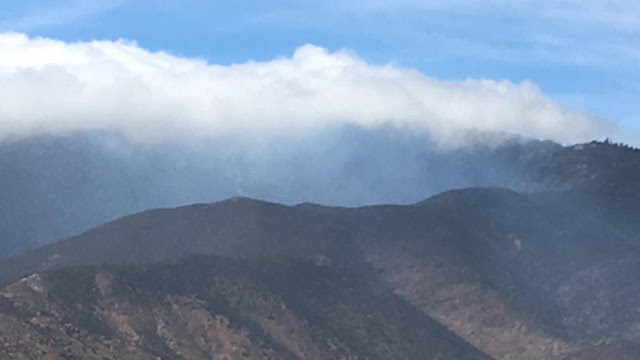 About an hour after the crash reports, Cal Fire officials said crews responded to a vegetation fire near Volcan Mountain, in the area close to the possible plane crash. Cal Fire officials tweeted that the so-called Volcan Fire was burning "in an area that is steep and inaccessible to ground resources." At daylight Friday, ground crews reached the fire's edge to battle the blaze. As of 11 a.m., the fire has burned at least 10 acres, but no homes or other structures are nearby. During the firefighting effort, sheriff's officials said "a possible crash site was located in the area" but crews have not been able to reach the wreckage due to the fire. Sheriff's officials said: "Once we are able to access the crash site, elements of the Sheriff's Search and Rescue Team will respond to assist the FAA, who are the leading the investigation of this incident … We have been unable to identify the plane or occupants at this time." An FAA official told 10News Friday that a twin-engine Beechcraft Duchess aircraft was reported overdue when it did not land at Ramona on Thursday night. The official said they do not know of the plane's whereabouts. There is no official confirmation linking the missing plane to the brush fire. A resident of Julian reported seeing an aircraft apparently plunging to the ground northeast of the tourist-destination highland town about 8:30 p.m. Thursday, according to San Diego County Sheriff’s officials. Less than half an hour later, authorities got word of a small brush fire in the Ranchita area, Lt. Amber Baggs said. A sheriff’s helicopter crew was unable to find any plane wreckage in the darkness, and firefighters had to wait until morning to make their way to the remote canyon where the blaze was burning. By the time they reached the site shortly after sunrise, the flames had spread over about 10 acres, according to Cal Fire. The fire was posing no immediate structural threats, the state agency reported. About 9:30 a.m., firefighters found aircraft wreckage in the burn zone, Baggs said. There was no immediate word on the condition of whoever was aboard the aircraft when it went down. The destroyed airplane remained unidentified at midday, though a twin- engine Beechcraft Duchess was reported overdue Thursday night when it failed to land at Ramona Airport when expected, according to the Federal Aviation Administration. “We do not know where the aircraft is,” FAA spokesman Ian Gregor said late Friday morning. 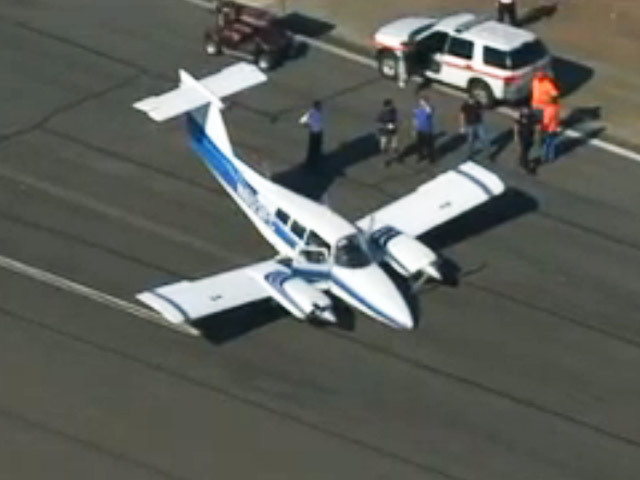 EL CAJON (CNS) - A light plane with faulty landing gear made a non-injury hard landing at Gillespie Field Thursday. The front wheel assembly of the twin-engine aircraft apparently collapsed when it touched down at the El Cajon general-aviation airport shortly before 4:30 p.m., sending the plane's nose scraping along the runway, a Heartland Fire & Rescue dispatcher said. No injuries were reported and no fire resulted, according to city spokeswoman Monica Zech. It was not immediately clear how many people were aboard the fixed-wing aircraft at the time of the mishap. Sad, tragic time for those involved. Our prayers go out to them.